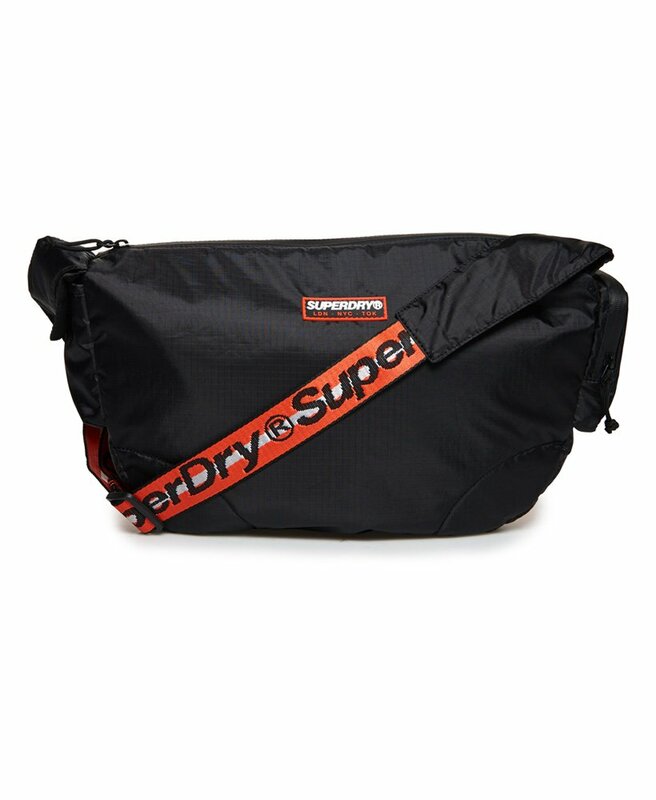 Superdry men's Damon side messenger bag. This messenger bag is ready and willing to go wherever you are, featuring a main compartment with a zip fastening, one inside zip fastened pocket and two open inside pockets for your smaller essentials. This bag also features two side pockets with zip and popper fastenings and an adjustable shoulder strap. Finished with a Superdry logo on the base and a Superdry rubber logo badge on the front.